Audi is further expanding its g-tron fleet. The Audi A5 Sportback g-tron*, alongside the A3 Sportback g-tron* and the A4 Avant g-tron*, is now the third model that customers can run on a choice of climate-friendly Audi e‑gas, natural gas (CNG) or gasoline. It is available to order from early summer 2017. 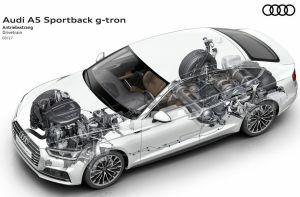 The A5 g-tron is powered by a 2.0 TFSI engine. It develops 125 kW (170 hp) of power and 270 Nm (199.1 lb-ft) of torque. With CO2 emissions of just 100 grams per kilometer (160.9 g/mi) (with S tronic), Audi is the first premium manufacturer to offer a gasoline engine in the B segment that achieves lower emissions than a comparable diesel engine. In the standard driving cycle the A5 Sportback g-tron with S tronic uses just 3.8 kilograms of gas per 100 kilometers (62.1 miles) with CO2 emissions at 100 g/km (160.9 g/mi). 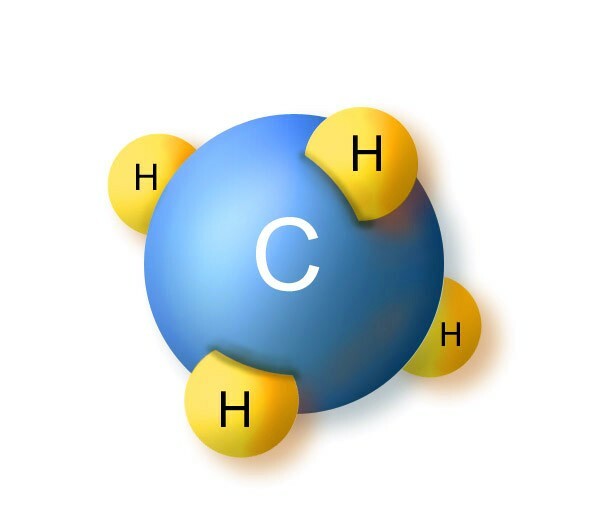 (In gasoline operation, the engine consumes 5.4 liters of fuel (43.6 US mpg), corresponding to CO2 emissions of 124 grams per kilometer (199.6 g/mi)). So the customer benefits from extremely low fuel costs. 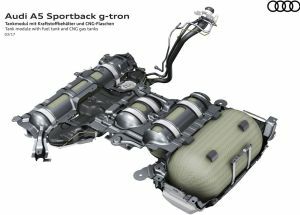 In the NEDC cycle, the bivalent g-tron model running on natural gas covers up to 500 kilometers (310.7 miles). When the pressure in the tank falls below 10 bar with about 0.6 kilogram (1.3 lb) of gas remaining, the engine management automatically switches to gasoline operation. This makes an extra range of 450 kilometers (279.6 miles) available. The drive unit’s high efficiency means low costs of ownership: Compared with an equivalent gasoline engine, fuel costs are markedly lower, and the reduced CO2 emissions place the vehicle in a more attractive tax bracket. The new Audi A5 Sportback g-tron is not only remarkably economical to run, it is also exceptionally clean. Nor does driving enjoyment draw the short straw. In conjunction with the manual six-speed transmission, the A5 Sportback g-tron accelerates from a standstill to 100 km/h (62.1 mph) in just 8.5 seconds. Its top speed is 226 km/h (140.4 mph). The A5 Sportback g-tron is especially eco-friendly when running on Audi e‑gas. This is the first virtually CO2-neutral long-distance mobility the company has offered. Audi and its partners produce the fuel using renewable energy, water and CO2, or from waste materials like straw and plant clippings.